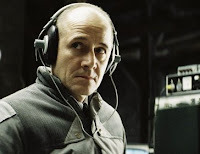 When I first heard about the German film The Lives of Others last year, it was in a negative context – it had just won the foreign-language Oscar over Guillermo del Toro’s Pan’s Labyrinth, which was widely regarded as a more imaginative, cinematically richer work. Having seen both movies now, I have to say I prefer Pan’s Labyrinth, but it feels like an unfair comparison – the films are so different in tone and in the way they deal with a vaguely similar theme: innocents endangered by a repressive, soul-sapping regime, trying to find something to cling to. While Pan’s Labyrinth made magnificent allegorical use of a fairy tale to comment on Franco’s Spain, the narrative of The Lives of Others is grimly realist. It's set in socialist East Germany in the year 1984 (probably a nod to Orwell's novel about totalitarianism) and its muted, dull-grey look gives visual expression to a place that has had colour and vitality drained out of it. The story begins with a Stasi police captain named Wiesler being assigned to monitor the activities of a playwright, Georg Dreyman, who is suspected of potential dissidence. As Wiesler maintains a round-the-clock surveillance on Dreyman’s apartment through hidden microphones that record every conversation, he becomes a secret participant in the lives of the playwright and his lover Christa-Maria (in fact, we take his role as hidden audience so much for granted that a scene where he meets Christa-Maria in a bar feels like an intrusion - like the tearing down of the fourth wall). It could be said that the rest of the film is a counterpoint to these words, showing us the gradual transformation that takes place in the spying Wiesler, a transformation that is superbly expressed in Ulrich Muhe’s low-key performance. He portrays Wiesler as a misfit – a lonely, isolated figure – whose stiff walk (his arms appear glued to his sides in some scenes) and deadpan expression make him seem like a solemn cartoon character or a silent-screen comedian, but who grows in personal dignity as the story progresses. When he is moved by the sound of Dreyman's piano-playing, or when he reads a Brecht essay that he found in the writer’s apartment, a gentle, befuddled smile forms on his face – it’s as if he can’t quite comprehend what is happening to him. Shortly after this, when he encounters a child who blurts out that his father calls the Stasi “bad men who arrest innocent people”, he reflexively starts to ask for the father’s name (something that he’s doubtless done before in similar situations) but checks himself at the last moment. Here and in other scenes we see him becoming more introspective, questioning the purpose of his work – to the extent that he eventually imperils his own position by covering up for Dreyman.The performance is just right; if it had been even slightly amiss, it could have sunk the film, especially since the script by itself doesn’t provide a fully convincing explanation for Wiesler’s change of heart. A running theme is the transcendental nature of art and how artists and their audiences are affected by it. “Writers are engineers of the soul,” someone says while toasting Dreyman (though this is ironic given that the playwright doesn’t have the freedom to openly write whatever he wants to). At another point, Dreyman wonders aloud while playing a sonata, “Can anyone who has truly heard this music be a bad man?” There is a reference to Lenin’s quote about Beethoven’s “Appassionata”: “If I kept listening to this music, I would not be able to finish the revolution.” During a conversation with the blacklisted director Jerska, when Dreyman rues that another, inferior director has made a successful career “by stealing all your good ideas”, Jerska replies that he doesn’t mind because at least this keeps his ideas alive. (In a more downcast mood, however, he likens his situation to that of a miller without corn.) And Christa-Maria is prepared to sell herself for the sake of her craft, which leads to a tragic climax. The Lives of Others mostly hits the right notes, but one senses how easily it could have tilted into over-sentimentality. There are a couple of scenes where it plays like a German equivalent of the well-meant but bland "topical" TV movies that American networks specialise in producing just in time for the Prime-time Emmys (if this had been an American film, all other things being the same, I think it would have been easier for us English-speaking viewers to be critical of it and magnify its weaknesses). But anchored as it is by the Muhe performance, it remains a very powerful work, and one of its most effective decisions is not to have Dreyman and Wiesler meet in the end, years later, when Dreyman finds out about his secret benefactor. Instead of contriving a face-to-face meeting that would almost certainly have been anti-climactic, it gives the playwright another means to express his gratitude, a means that is consistent with the film’s theme of the redemptive, life-changing power of art. It’s a satisfying conclusion – so many good dramas don’t know how to end well, but this one does. Oh, I loved this movie, and I thought Ulrich Muhe was brilliant too. And - quelle surprise - though I watched it at a popular multiplex in town, I didn't come across any of those interesting critters in the audience you often rant about, grinnn! I'm not surprised actually - it's one of those films that would hold the attention of most audiences (even the ones who usually gripe about subtitled movies) and appeal to a very wide spectrum of tastes (and I don't mean that as an unqualified compliment, though as I've mentioned I liked it a lot overall). Sad to hear that Muhe died last year. Incidentally did you read about the parallels with his own real-life story? Apparently his wife was an informer for the Stasi. I liked both these films a lot too. There was always this threat of sentimentality (poetry and music changing people's hearts and inspiring them!) but it pulls it off very beautifully and powerfully and actually convinces one of humanistic potential of the arts. it was sad to hear of his death last year. He was quite young, still in his early 50s. He was also great in Michael Haneke's Austrian films specially in Funny Games. I am also very impressed that an indian distributor not only bought it but also spent some resources on advertisements and making an entire website! I hope it is a beginning and not an exception. Alok: I saw Funny Games years ago on a Max Mueller videocassette, didn't make the connection that Muhe had played the dad. And yes, Bharatbala has done quite a dedicated job promotion-wise - think there were special previews in Mumbai and Delhi, and a Facebook group. It only played for a week in Delhi though. Although as a movie 'the lives of others' works pretty well (and is a strong debut by von Donnersmarck), it does take the sort of liberties movies based on "reality" customarily do. Germans who've lived through the Stasi's surveillance seem to have mixed views about the film. Dr Knabe objects to "making the Stasi man into a hero". He recounts that von Donnersmarck "would not be persuaded otherwise", and notes that the director cited Schindler's List as justification for what he planned to do. "But that is exactly the difference," Knabe says. "There was a Schindler. There was no Wiesler." rohan: yes, that's one major potential problem with the film but I think the film manages to avoid this by focussing on one individual story and also because of the very sensitive performance by Muhe. Even in the beginning of the film you can already see in his haunted look that he is not really "at home" there in the Stasi organization and that's why when the change of heart comes it doesn't feel like a surprise or even remotely manipulative. The film also avoids those cliched messages about redemption or triumph of human spirit or how love wins against odds etc etc. I really don't think it asks to be seen a portrait of a "typical" Stasi man. As a German Florian HD must be aware of the problems and ironies of this sentimental view of arts... After all, most nazis were music-buffs and germany was one the most culturally advanced nations on earth. In the last section of the film Schindler's List actually does all these things, that's why even if it was based on a true story, the film (or at least its intended "message") feels false, dishonest and manipulative. The film overall is still remarkable for its craft but there again as in the notorious "shower" scene Spielberg seems to forget that he is making a film about holocaust and not one of his regular blockbuster-thrillers...though thankfully those moments are very few. I hope whoever at bharatbala was inspired to do this gets inspired more often. If only these people - distributors, exihibitors, business people, loved films as much as even a tiny fraction of how much they love their money!!! 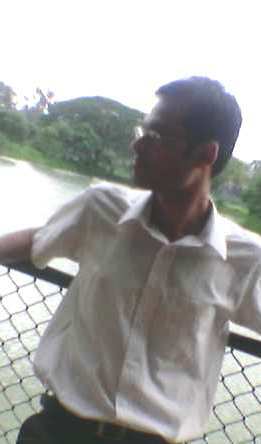 Alok: I agree with you that the film avoids a cliched ending. It is also a very accurate portrayal of the constant fear people live in in a state with constant surveillance. Again quoting the article, quoting Joseph Conrad :"Art itself may be defined as a single-minded attempt to render the highest kind of justice to the visible universe, by bringing to light the truth, manifold and one, underlying its every aspect." Which means that von Donnersmarck as an artist chose to go for an Atonement-style ending as opposed to a 1984-style ending, and I respect that decision. But I still feel that that movie which goes all the way,and shows what really happened needs to be made. I am glad you agree and it is also interesting that you brought up Atonement even though I think closer comparison and search of correspondence between the two will only create confusion but yes in general i understand what you mean. Narrative art is about what could have happened even though it may take as its source and starting point what really happened and what ultimately matters is the honesty and sincerity of vision which this film had. That quote by Joseph Conrad was great. It settles what we are talking about very tersely and beautifully. I will also recommend this essay by Timothy Garton Ash in new york review of books. Oops, just realized re-reading my comment that the way I use the word "ending" is incorrect. I meant von Donnersmarck, by making this film, did for victims of the Stasi what the character of Briony (in Atonement) did for Cecilia and Robbie at the end. So it would be more accurate to say that von Donnersmarck does an Atonement as opposed to a 1984. And the Conrad quote does settle it nicely. Much as I liked The Lives of Others and much as one should not compare a film to a book on which it is not based, Anna Funder's Stasiland remains to me the most interesting work on E.Germany. Its also multilayered and fleshed out in a way film rarely achieves, looking both at the Stasi as well as those who suffered. I actually didn't like the end - it was way too redemptive for me. But I think I was, for a brief month or two, in lust with Ulrich Muhe. I loved the end of the film, the manner in which Muhe refuses the request of the book-seller to parcel the book and without a smile says "No, it's for me." When r u going to post abt Rock On!! I say that though because I would have got the Lenin quote reference and some other things you noted. even so...it was a great movie - such understated but strong performances are rare in Hollywood and non-existent in Bollywood. Through his reticence, Muhe says a lot. Germans have come out with 2 great movies recently. Downfall, about the last days of hitler, couple years back was even better - ekdum hilaake rakh diya though this was partly because the story itself was an intense topic but it was supported by some really good acting by the actor that played hitler. "In recent years, Mühe made a niche for himself as nasty Nazis - as Joseph Goebbels in Goebbels and Geduldig (2001), and Dr Mengele in Costa-Gavros's Amen (2002). He was scheduled to play Klaus Barbie in an upcoming feature. His last film was the truely dreadful comedy Mein Führer: The Truely Truest Truth about Adolf Hitler (2007), though Mühe was amusing as an actor hired to give Hitler lessons." Great review. Have been waiting for ages to read what u thought about this one. Frankly, 'Lives' worked more for me as i usually do not prefer films/books that make abundant use of the fantasy genre in the manner in which pans labryinth did. i think the film derives much of its power from the fact that muhe's change of heart is left unaccounted for; there is no trigger, just a gradual, fading away of the wiesler who we meet at the film's opening. btw, wont u throw in ur 2 bits about 'in bruges'? i loved it so. Haven't seen In Bruges unfortunately. Besides, things are so busy these days that I can only write about movies here when I'm officially reviewing them. Hope that changes soon. slightly unrelated, but i have observed most germans film which reach oscar, or which win are in someway related to the world war. is the war still so much a part of the german filmmakers psyche? or is it that they think that a war film will actually go down well with the US. I want to know why they hide the typewriter?? They hid the typewriter because it was evidence of what the article (informing the west of what like was like in east Germany) was written on. If they were discovered as the authors of the article, the consequences would be not pleasant to say the least.